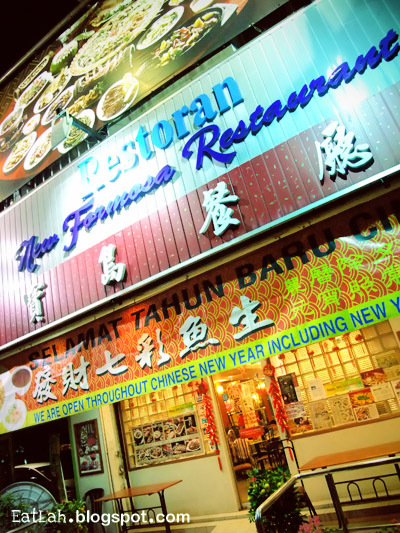 New Formosa Restaurant @ SS2, PJ | where and what to eat lah? Strangely enough, it never cross my mind to try out New Formosa Restaurant despite living in Petaling Jaya for more than 20 years. Since 1980s, they have been serving a wide array of authentic and creative Taiwanese delicacies while keeping abreast of their customers' growing health consciousness. Shame on me for allowing this to escape from the clutches of my gastronomical stomach. The restaurant might be small but it probably has one of the brightest and shiniest looking deco with mirrors covered on both sides of the wall. 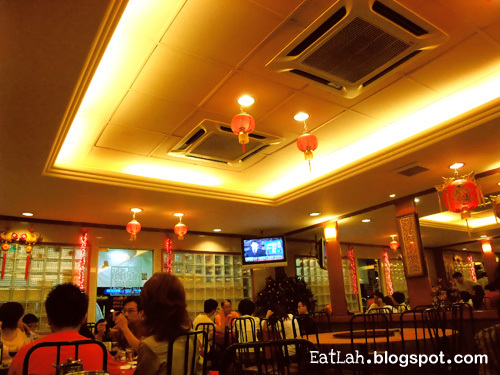 It is probably also one of the most air-conditioned restaurant per square feet to keep you cool. Their menu is also probably one of the most extensive looking with more than 100 varieties of dish to choose from. Going through their menu is like reading an encyclopedia, it was very informative and detailed on the ingredients used and how it benefits you. Master chef owner Mr. Lee Weng Eng and his friendly Taiwanese wife Mrs Jeanie Lee definitely has a respect for fresh ingredients and well-honed cooking techniques with an innovative approach to a healthy Taiwanese cuisine. 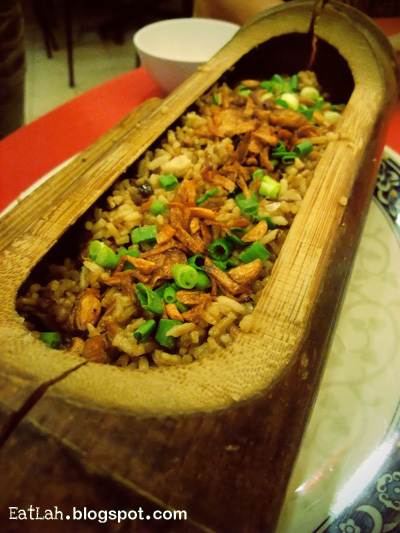 Steamed yam rice in hollow bamboo Taiwanese Hakka style (RM 18) is one of the must-try specialty. Fragrant rice steamed with chunks of beautiful powdery yam, mixed with chinese mushrooms, spring onions, shallots and combined with the right saltiness from the dried shrimps and Chinese sausage (lap cheong)...wonderfulest! Each tube of bamboo yam rice is just sufficient for five rice bowls. No doubt that this is definitely my favorite award winning dish of the night. 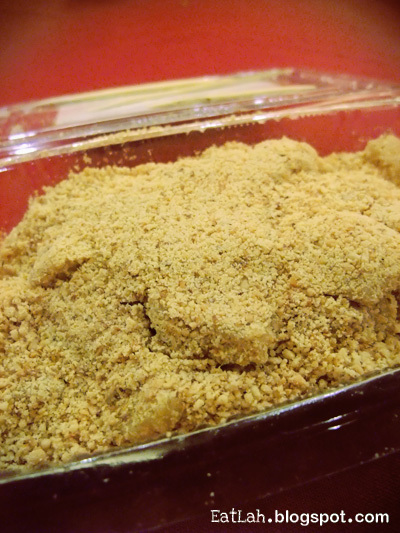 Bean curd with minced meat and preserved salty vegetables (RM 15). 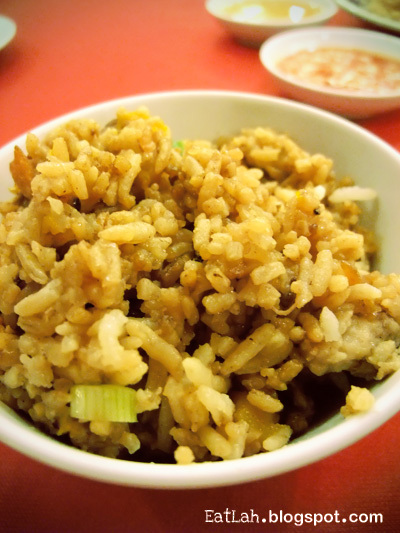 This salty sourish dish is actually quite appetizing and it goes very well with bowls of fragrant white rice. 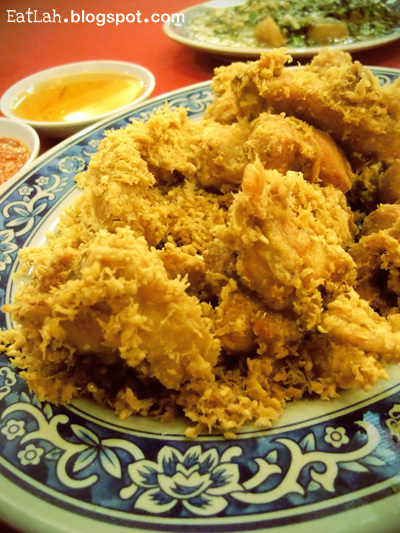 Signature deep fried sesame chicken (RM 15) is battered with sprinkles of sesame seeds and deep fried till perfection. Crispy on the outside while maintaining the tenderness and juiciness inside. The deep fried sesame chicken is served with a special made sweet plum sauce and hot sourish kimchi chili sauce. 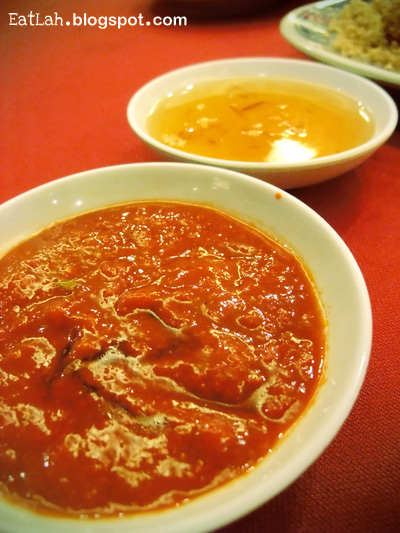 The kimchi chili sauce is actually very tasty! Such a perfect combination with the deep fried chicken. 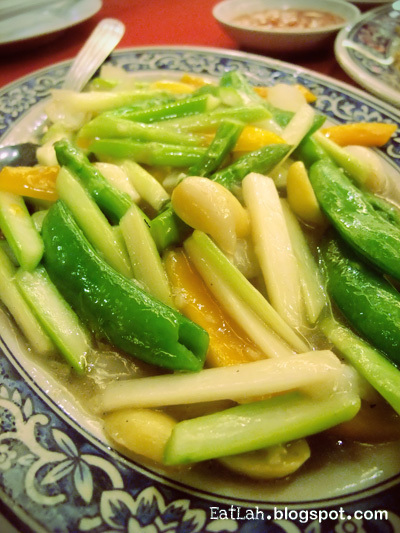 Stir-fried asparagus with fresh lily bulbs, ginkgo and pumpkin slices (RM 17). The sweetness of the pumpkin blends in nicely with the fresh crunchy asparagus, lily bulbs and ginkgo. Refreshing and innovative yet nutritional! Dessert time! Their menu has at least 2-3 pages dedicated for assorted desserts; from Taiwan's famous sweet glutinous rice pieces to crystallized yam and puddings. How to resist not trying?! Die die also must try. 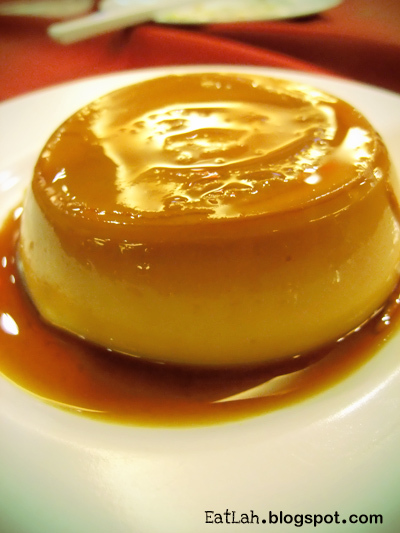 The caramel custard pudding (RM 2.90) has a nice smooth creamy caramel taste with the right sweetness. 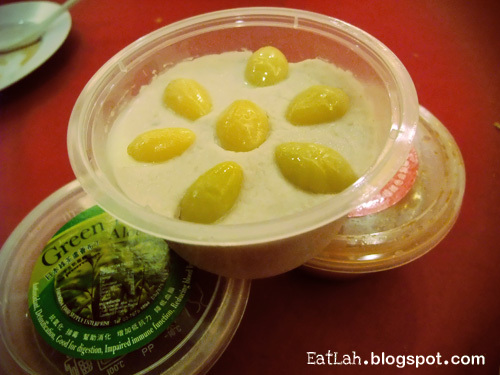 Yam ginkgo pudding aka Orh Nee (RM 2.90) is a must-try warm dessert! 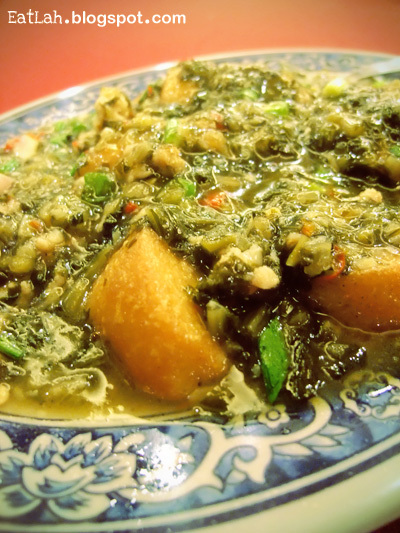 The sweet yam is mashed until it forms a smooth paste and mixed with ginkgo nuts. The original version is actually very sweet and fattening as it contains pork fats to yield the smooth textures. But this is a much healthier version without lard and low in sugar. There were also a variety servings of puddings, from green tea aloe vera, mango to honey herbal but personally I only enjoyed their caramel custard and yam ginkgo puddings. Original flavor handmade glutinous rice pieces (mochi) (RM 3.20) coated with sugar and showered with plentiful specially selected peanuts. It was served warm, not overly sweet and the peanuts were actually really good. Unfortunately, they ran out of mixed flavored mochi (RM 3.70) for the night. Verdict: It was love at first sight! With so many varieties to pick from and such warm heartfelt hospitality from Mrs Jeanie Lee, will definitely warrant my subsequent visits.